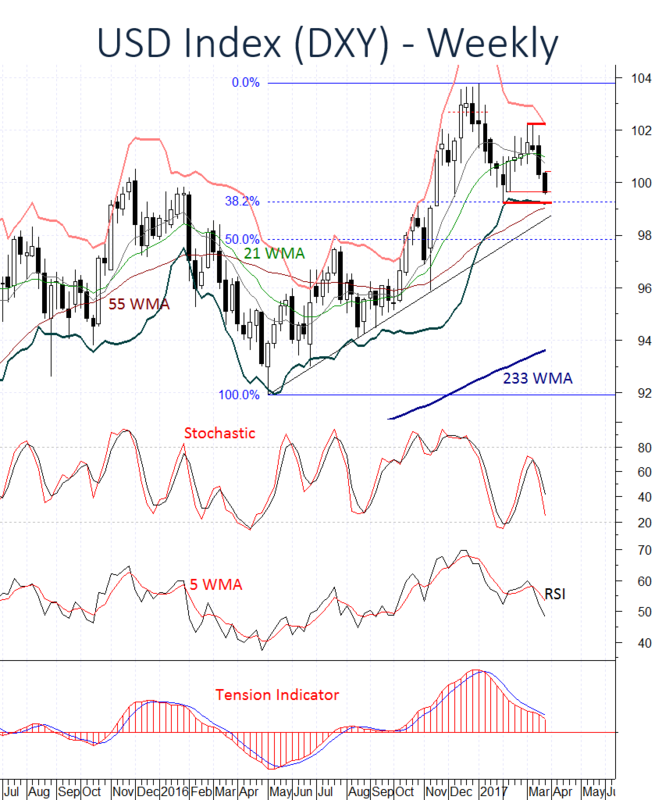 The USD DXY Index is under pressure, with prices extending the sharp fall from the 101.79 high of 14 March. Falling momentum studies and the bearish Tension Indicator are expected to keep prices biased lower in the coming weeks. A clear break below the 99.63 low of 6 February will open up critical support at the 99.23 monthly low of 2 February and 99.25, (38.2%) Fibonacci retracement of the 2016-2017 rally. A further close beneath here will confirm a deeper reaction, as the January bear trend gains traction and investors move to a negative stance. Next significant support will then be at the 97.90, (50%) Fibonacci retracement. 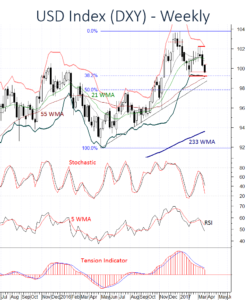 An unexpected close above the 101.45 high of 20 March will help to stabilise price action. However a clear break above the 102.26 high of 2 March is needed to confirm further USD strength. This will then open up fresh gains towards the 102.70/75 area.